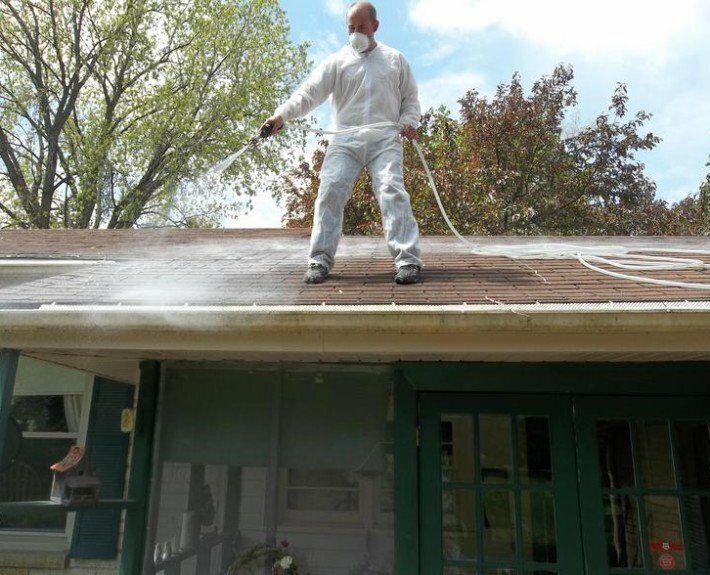 Roof Cleaning – Ever wonder how to remove those ugly black streaks and stains off your roof? With a roof cleaning that is how. Ever wonder what they are? 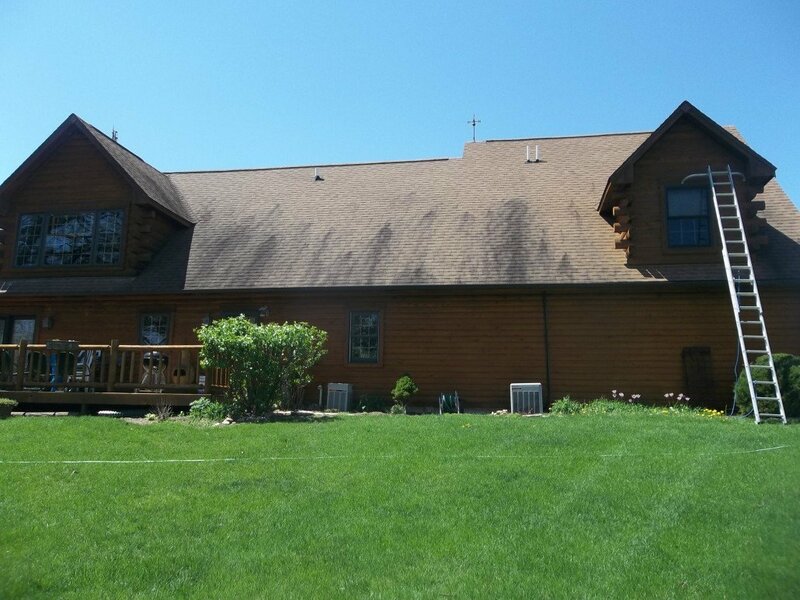 Many people call those streaks on your roofs mold, algae, stains, fungus growth, or dirt. What is on your roof is actually a type of algae called Gloeocapsa Magma. This algae transfers from one roof to the next through spores in the air. These spores land on your asphault shingle roof and typically begin growing on the north facing side where the roof stays moist longer. In areas of warm humid conditions such as Northern Illinois, or Schaumburg IL this algae thrives. Instead of searching for cheap roofers, trying to find the best sale on shingles, or learning how to roof your home, why not call RPW ProWash. We would be glad to come give you a free estimate! 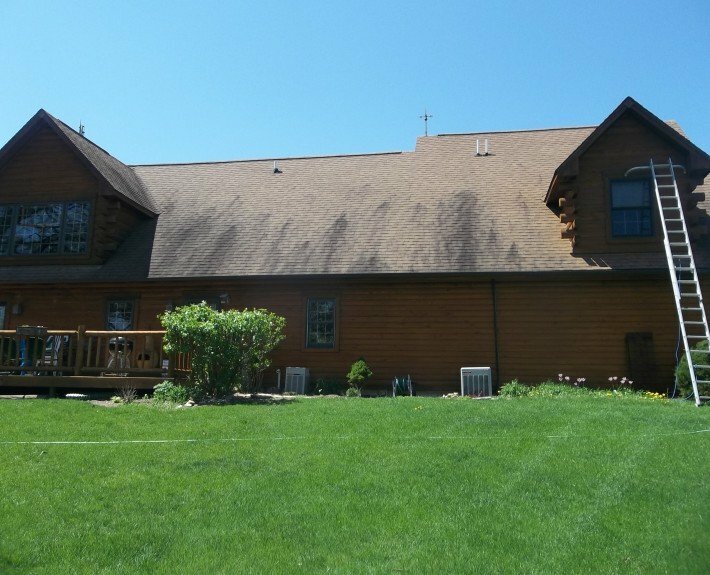 Instead of investing thousands sometimes a couple hundred dollars can have your roof free from those ugly black streaks. If your roof is in bad shape we will let you know that your in need of a new roof. 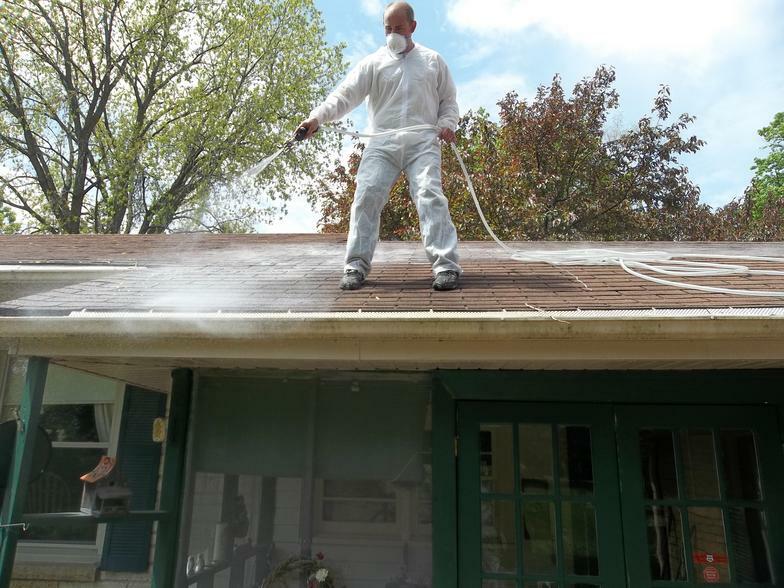 Chris Cannon the owner and operator of RPW ProWash ran a roofing crew in St. Louis for a couple years and would rather you invest the money in a new roof if one is necessary. 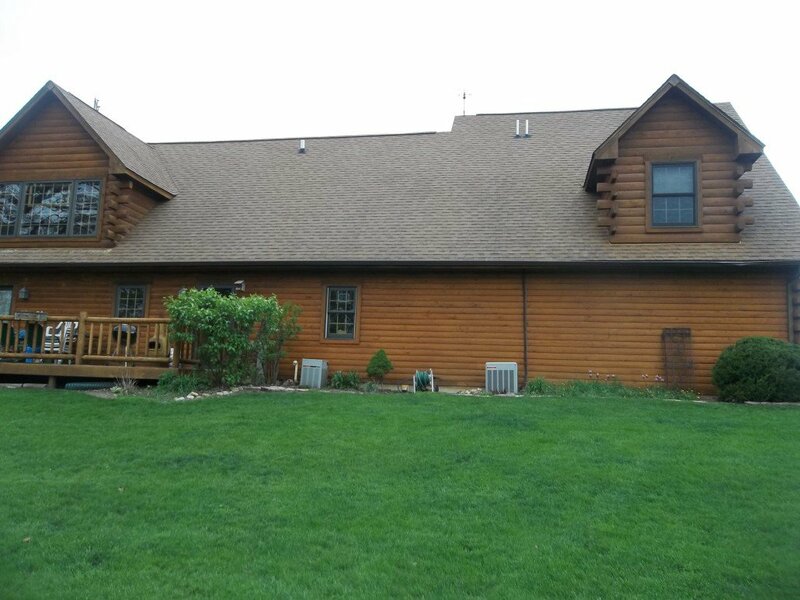 Nine times out of ten though we can clean the roof and no replacement is necessary, because the roof is only infested with algae and a roof cleaning will take care of it. 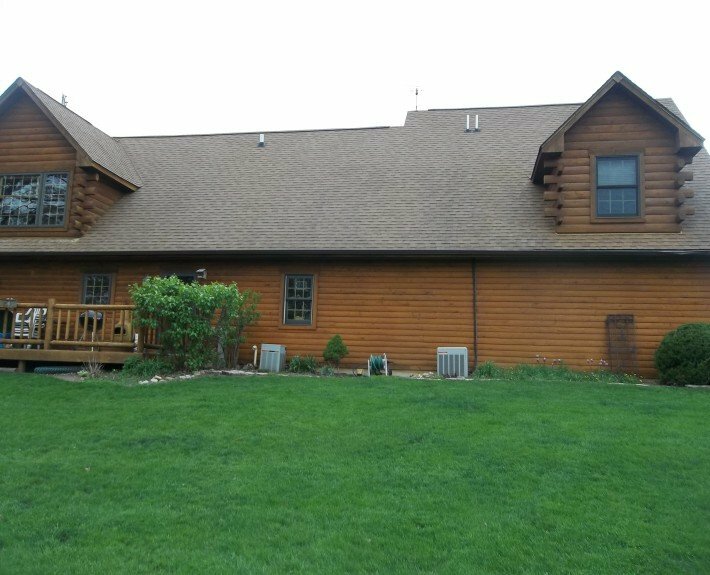 Call (779) 348-3135 for a free roof cleaning quote.